This week, it was reported that a great pet food company Stella & Chewys has issued a voluntary recall of some of their foods as a safety precaution. Unfortunately, these things can happen to even the best companies. The list contains mostly poultry versions, which due to the high occurrence of allergies in dogs, we do not generally recommend. We still think using Stella and Chewy’s rabbit and/or venison verisons are a great healthy option for pets. For the safety of you and your pet, always use safe handling procedures. Wash your hands well before and after handling the food, and disinfect the preparation area and dishes/ utensils. Stella & Chewy’s is voluntarily recalling some of its products due to concerns of a possible presence of Listeria Monocytogenes. The recall was prompted by a positive test confirming Listeria monocytogenes in Chewy’s Chicken Freeze-Dried Dinner Patties for Dogs, 15 ounce, Lot #111–15, during routine surveillance testing by the Maryland Department of Agriculture. 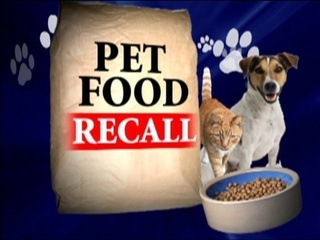 There have been no reported pet or human illnesses associated with this recall. Retailers and consumers can find the full product recall list at http://www.stellaandchewys.com/stella-chewys-recall-notice/. Consumers should look at the lot numbers and UPC codes printed on the bag to determine if it’s subject to the recall. People who have purchased these products are instructed to dispose of the food or return it to the place of purchase for a full refund.